This Christmas your customers are going to get a lot of Christmas Cards. They expect to get Christmas Cards from family, friends and even work colleagues. However, they don’t expect to get a Christmas Greeting from a local small business like yours. 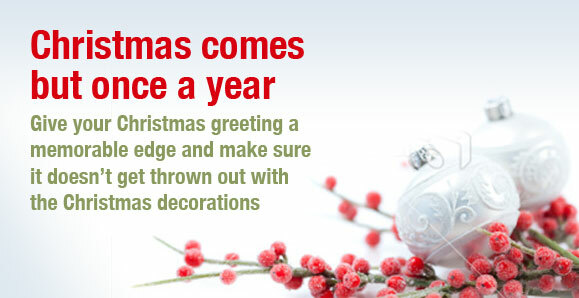 That’s why it is so important for you to send every one of your customers a sincere Christmas greeting. The trick is to make your Christmas card memorable. How do you do that? You make sure that you get your Christmas card to them first. Your Christmas greeting should be the first one that they receive. It should be sincere, professional and valuable. Let’s look at these three elements. Your Christmas card should have a sincere message from you the business owner. Say thank you to your customers, make your greeting real and make it heartfelt. Don’t take your customers for granted. There are literally hundreds of other Beauty Salons that they could have bought products and services from, but they didn’t. They chose you, they chose your business. Make sure that you thank them for their patronage and loyalty through a difficult year. Secondly, your Christmas card should look gorgeous. If it doesn’t look good why would anyone remember it? 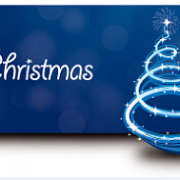 Sending your customers a Christmas card is a part of your marketing strategy. Talking about marketing, would you give out a business card, treatment menu or brochure that looked amateurish? Of course not! The same applies to your Christmas greeting. If it doesn’t look professional, you don’t look professional. To help you with your Christmas Marketing, Salon Management Studio has created a range of seven different professional looking Christmas eCards. Choose the one that suits your business best, download it and add in your own greeting, business logo, contact details etc. Email it to all of your customers this week. Make sure that they get it before the 9th of December. If you really want to blow our customers away, don’t just email them. Print the template out, sign it personally, put it in an envelope and post the Christmas Cards to your customers. No one uses snail mail anymore so when people do receive something in the post it leaves an impression. Here are a few ideas, Christmas Nail Art, finger or toe nail paint, eyebrow shape and tint, an xpress pedi, an xpress mani. Sit with your staff and come up with your own value added ideas for the voucher. (Just don’t discount!!) Sure, these things will cost you a little time and money. However, Salon Management Studio has proven time and time again that if you can get just get a customer to come in to the Salon, she will spend money. Salon Management Studio customers can go to the Store inside of Salon Studio CRM software and download their Christmas eCards now.